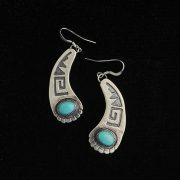 These sterling silver 3 groove earrings have 3 rails with twist wire border and an oxidized background. 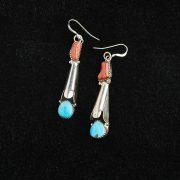 Simple and elegant, they have a contemporary look to them – they blend well with so many things that you’d wear. 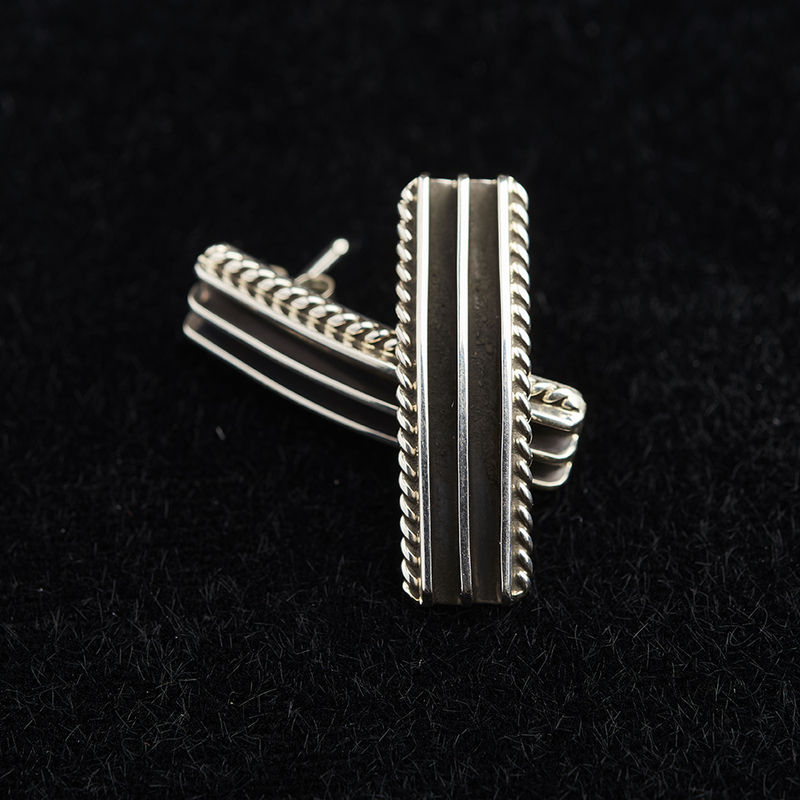 This design is sometimes called ‘railroad’ jewelry because it resembles the shiny rails.